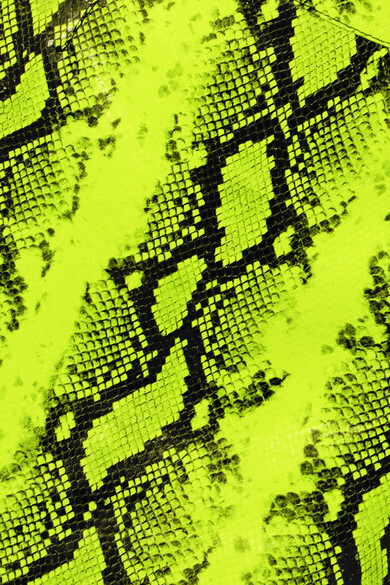 Neon-yellow is the color that defines Off-White's Spring '19 runway collection. Worn by Jourdan Dunn for the show in Paris, this mini skirt is cut from snake-effect leather, lined with satin and has a logo-print pocket at the back topped with an oversized ring pull. If you love the pattern, don't miss these pants. Shown here with: Vetements Tank, GRLFRND Denim jacket, Balenciaga Sneakers, Laura Lombardi Earrings.